(19th October 2017) – Transnational Institute, the international think-tank on international politics and environmental and social justice, has recently launched a Transformative Cities initiative that builds on TNI’s long work of supporting movements against privatisation and the building of accountable, effective, socially and environmentally justice services. There has been a rise in cities bringing services back into public hands and TNI has tracked this shift in two groundbreaking reports – Our Public Water Future and Reclaiming Public Services. 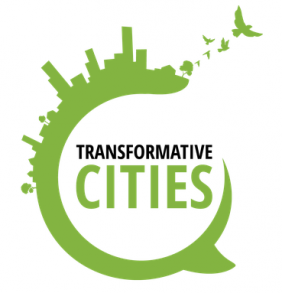 The Transformative Cities initiative is a unique award process that aims to ensure that the lessons and inspiration of these experiments becomes viral by promoting and learning from these exciting initiatives globally. The project will run for a number of years, but in the first pilot year, the focus will be on transformative practices in water, energy and housing, with the aim of broadening to other issues in the future. The deadline for cities to apply this year is 31st October.